One of the most useful features that a WordPress theme can have. 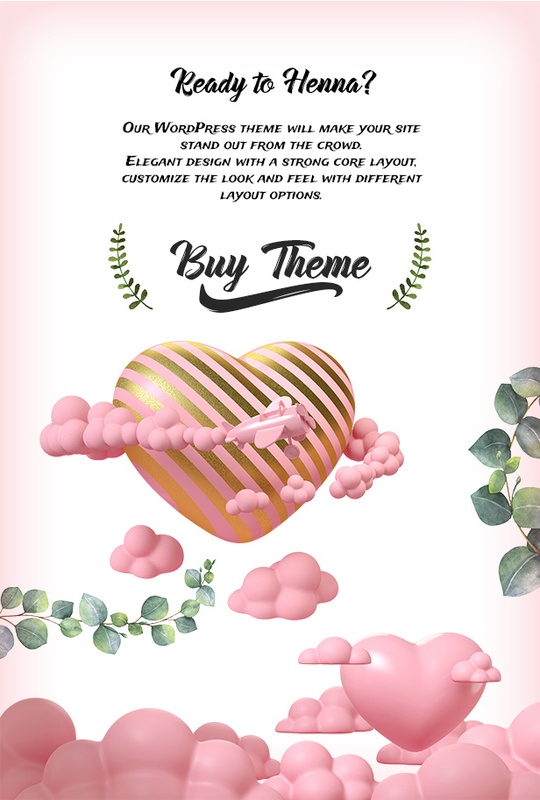 You will love to start the website development process at the same starting point as the wonderful theme demo pages, so you can quickly design the website of your dreams. You can fully use our carefully created demo content to start with a ready-to-go site with 1-click only! The drag-and-drop Visual Composer ($46 value) page builder for WordPress will save you tons of time working on your site content. Now you’ll be able to create complex layouts within minutes! 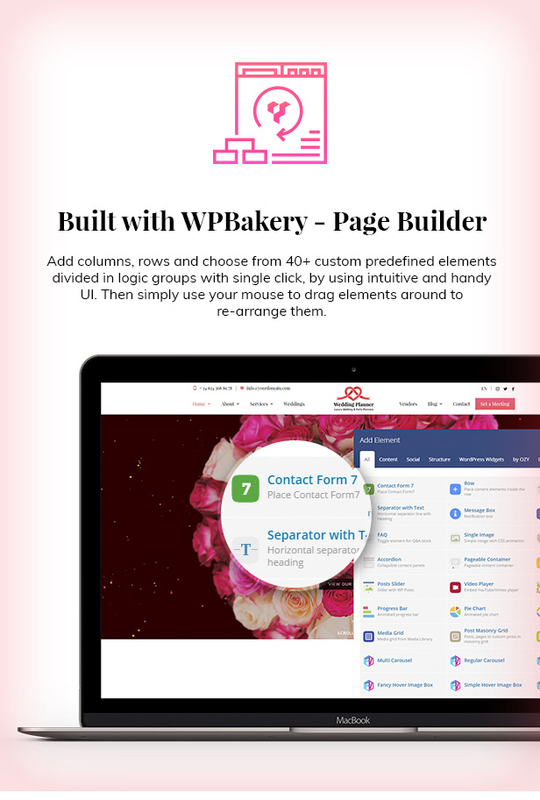 This Page Builder can be used on your site front-end to make your work easier. All you need to do is drag and drop the content and see the result immediately. We know responsivity is important once we live in a mobile world. It’s absolutely essential that your website be as accessible as necessary on all devices. However, we felt that responsive design was something else we wanted to make even better for you. Even better for the web. Make sure our theme is fully responsive! 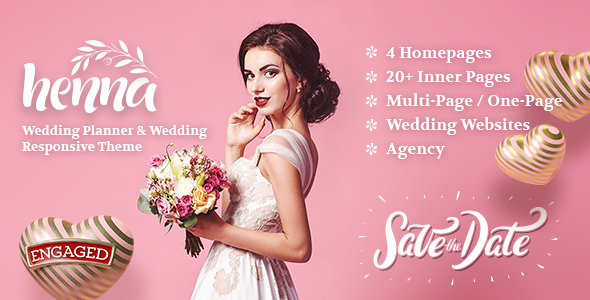 Unlimited Colors – the Henna comes with unlimited colors so you can change the design of your site and put the colors of your company in a few seconds. Quite easy and due to its flexibility of use you can always change it and leave it in the best way for you. It’s simple to include your About Us, Videos or Mailing List into your theme with custom widgets. Simply drag and drop them wherever you desire, input your user information, and you’re ready to go! No need to wallow through lines of code just to add your own custom CSS. We’ve embedded a custom CSS field in the Theme Options panel to make your life easier. Slider Revolution is an innovative, responsive WordPress Slider Plugin that displays your content the beautiful way. Whether it’s a Slider, Carousel, Hero Scene or even a whole Front Page, the visual, drag & drop editor will let you tell your own stories in no time! 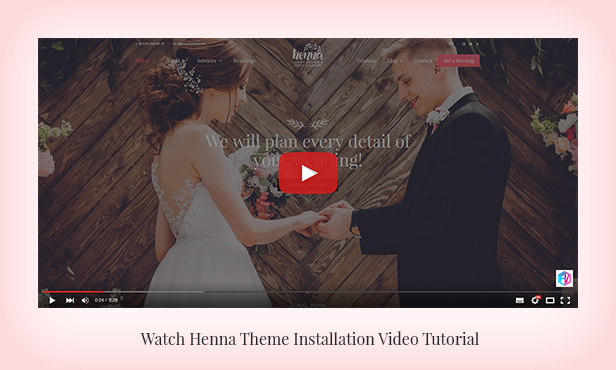 You gain this plugin ($26 value) for free purchasing the Henna WordPress theme. You can build an amazing posts-slider from regular WordPress posts. All you have to do is set up one slide and Slider Revolution does all the work! There are literally millions of layout combinations. The web is first and foremost a typographic medium. 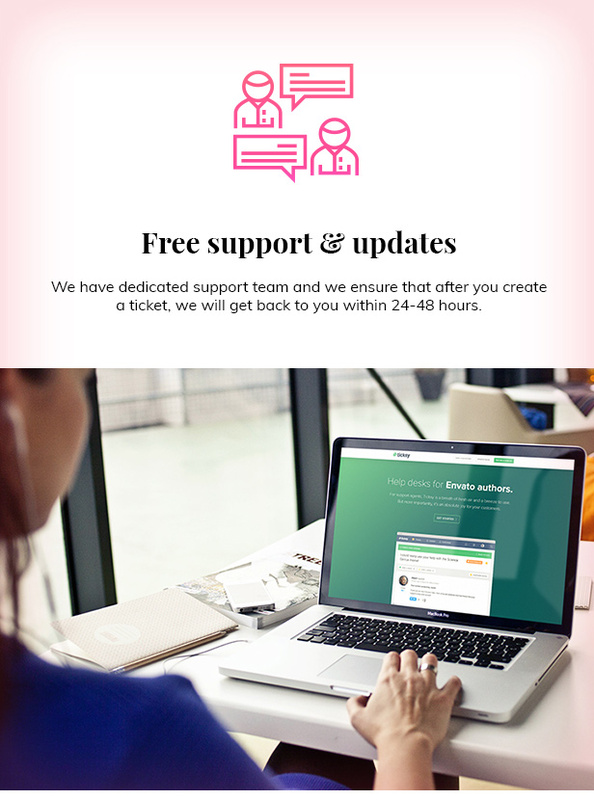 Because of that, we wanted to ensure that the level of control over your site’s typography was unparalleled in any other WordPress theme on the market. We’ve not only included over 800 free Google Fonts to use in your theme. We do more! Add parallax style background to Visual Composer rows. Combine Design Options and parallax background to create even more advanced layouts. IMPORTANT NOTE: All presented, demonstrated layouts has been prepared for only show you visually how capable of and what can you do with it in different industries. Some of used images in previews such as slider images, thumbnail, all conceptual images or videos NOT INCLUDED in the package due to copyright issues.